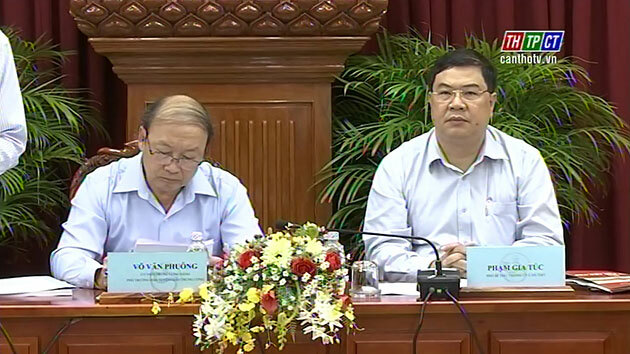 Vice chiefs of the Central Publicity-Education Board Võ Văn Phuông and Bùi Thế Đức in the morning of July 18th organized the congress on the publicity-education affair in the 1st 6 months of 2016 in Southwestern provinces, cities. Vice secretary of Cần Thơ city Party Committee Phạm Gia Túc was in attendance. Past 6 months, the propaganda and education sector in southwestern region well completed given missions, stayed close to situation, actively increased quality and effectiveness, played well the advisory role for party committees in leading, steering and implementing political missions of localities and reviewed resolutions for the party, especially in popularizing, implementing and studying resolutions of the 12th national party congress. Cần Thơ city, Bến Tre, Tiền Giang, Trà Vinh, Kiên Giang, Bạc Liêu and Cà Mau provinces issued particular implementing program for the resolution. The sector contributed to the success of the election for 14th national assembly and people’s council deputies for 2016 – 2021. Although there was renovation in some fields, methods of propaganda and education have not met demand on renovating contents and forms; propaganda speed is still slow, have not focused on convincingness and mobilization for officials, party members and people to clearly understand. Delegates suggest that the central education – propaganda department timely provide information, materials and orientation to propagandize important events. Mr. Võ Văn Phuông answers inquiry from delegates. 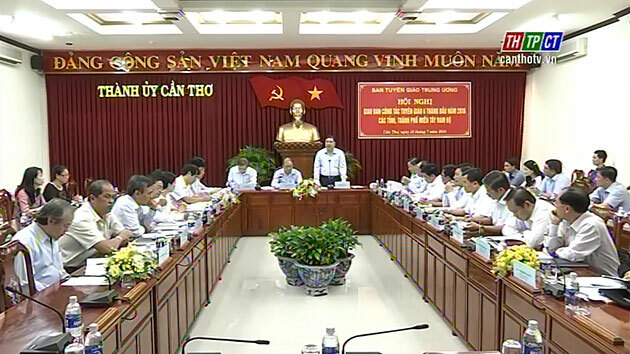 In the last 6 months, he notes leaders of the provinces and cities’ boards to well conduct advisory role for the party committees to implement central resolutions, especially the resolution of the 12th national party congress and Directive 05 of the 12th Politburo on promoting the learning and following of Hồ Chí Minh’s moral example./.